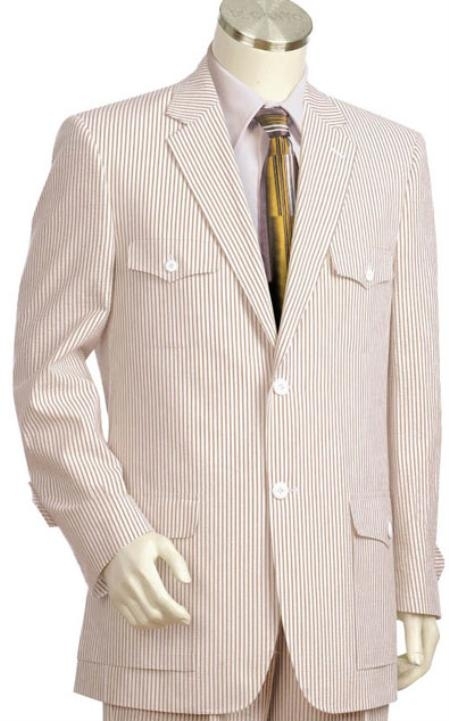 Seersucker suits for men are one of the famous summer picks for men who love to wear suit during summer season or while in a tropical country. Any kind of material that is soft and is capable of absorbing sweat is good enough to be worn during summer season or sultry weather. There are many natural and artificial fabric varieties made from cotton and linen that are being used in the manufacturing process of summer friendly clothing but, when it comes to mens suits made out of cotton or linen, you cannot expect it to look bright and crease free all time. You might have pressed your linen suit several times but still find it crushed at the back and near the sleeves after a few hours as these fabrics get wrinkled easily. A seersucker suit is in turn an easy to maintain kind of suit as the original texture of the fabric is already in a form of wrinkled finish that is capable enough to hide any wrinkles while you wear them on. These is no need for you to press them at all as the whole idea of pressing is unwanted for this type of clothing who's texture is bumped in a regular pattern to create a special effect that is so unique. 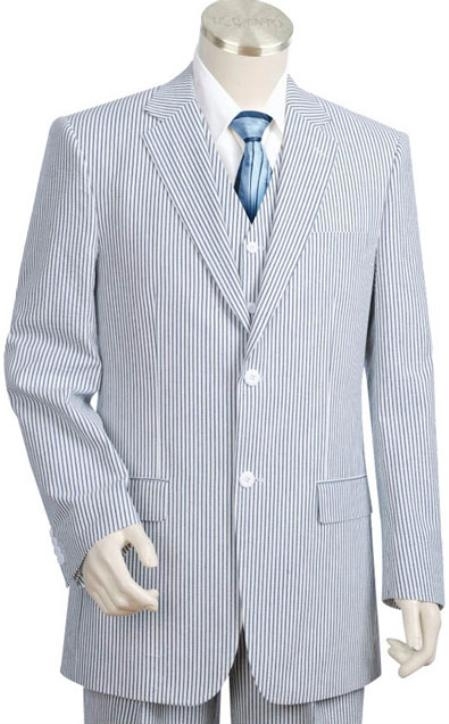 A seersucker suit is best for summer because of its soft cotton finish and the bumps that allows a lot of space between the skin and the fabric. This allows a lot of sir flow between them and hence encourages the skin to breath and is thus safe and comfortable during humid a day that is sweaty and sticky. Though a normal full cotton suit is good enough to keep you cool, a seersucker suit can do a better job on any given day because of its unusual texture.